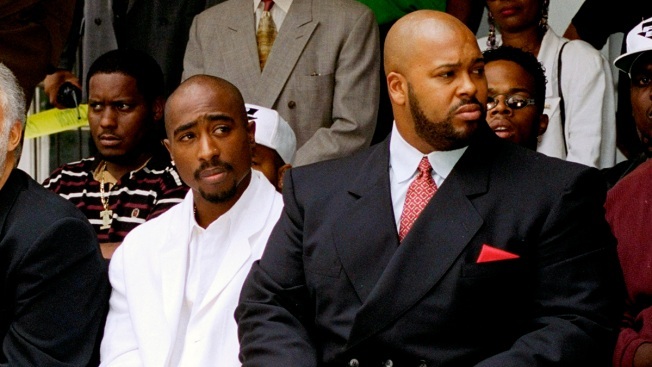 A motion to dismiss a murder case against Marion "Suge" Knight is being delayed because the former rap music mogul has changed attorneys, hiring the man who successfully defended Michael Jackson against molestation allegations. Thomas Mesereau appeared in court with the Death Row Records co-founder, accused in a fatal hit-and-run at a Southern California burger stand, Friday morning. He asked for and was granted a delay on a motion to dismiss filed by Knight's previous attorney. Court proceedings were delayed to July 7, the original trial start date in the hit-and-run murder case. Mesereau is the fourth attorney to represent Knight since he was arrested. After hearing he had to stand trial for murder, "Suge" Knight was rushed to the hospital, his fifth health episode since February. Patrick Healy reports for NBC4 News at 5 p.m. Thursday, April 16, 2015. "I am convinced he is innocent," Mesereau said outside court, adding that he would make no further comments. Knight missed a court hearing earlier this week in a separate robbery case after telling deputies he was too sick to go to court. Knight's court appearances have been marked by frequent medical episodes, occasional outbursts and shake-ups to his legal team. Los Angeles Superior Court Ronald Coen said Friday he signed a permanent order allowing deputies to physically bring Knight to court if necessary. Mesereau said he is concerned about Knight's treatment in jail. Knight has pleaded not guilty in the murder case, which was filed after he ran over two men outside a Compton burger stand in January. His previous attorney has said he was fleeing an ambush. The judge determined there is enough evidence for Knight to stand trial in the case. In a separate case, Knight and comedian Katt Williams have also pleaded not guilty to taking the photographer's camera in Beverly Hills in September, just days after Knight was wounded in a nightclub shooting. A Compton native and former football player, Knight co-founded Death Row Records, which in its prime in the early 1990s generated revenues of up to $100 million per year.